Characters of Disney- a few tips! 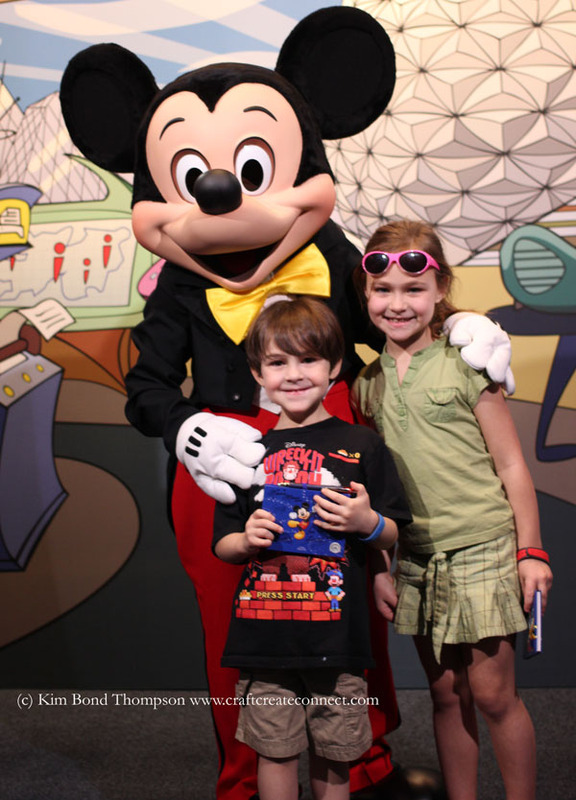 What would a Disney vacation recount be without a few pictures of some favorite Disney Characters?! 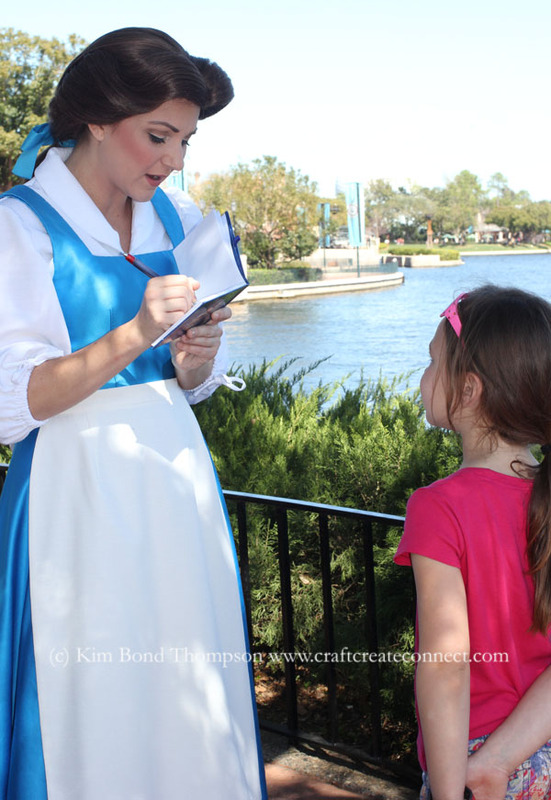 No matter what park you go to, you have to be sure to stop by and get an autograph or two! Be sure to check the maps found at the entrances to the parks to find their locations as they are often along walls, down little alleys and in basically out of the way corners and locations, often in the centers of gardens. You can grab a times chart too to be sure you don’t miss them. 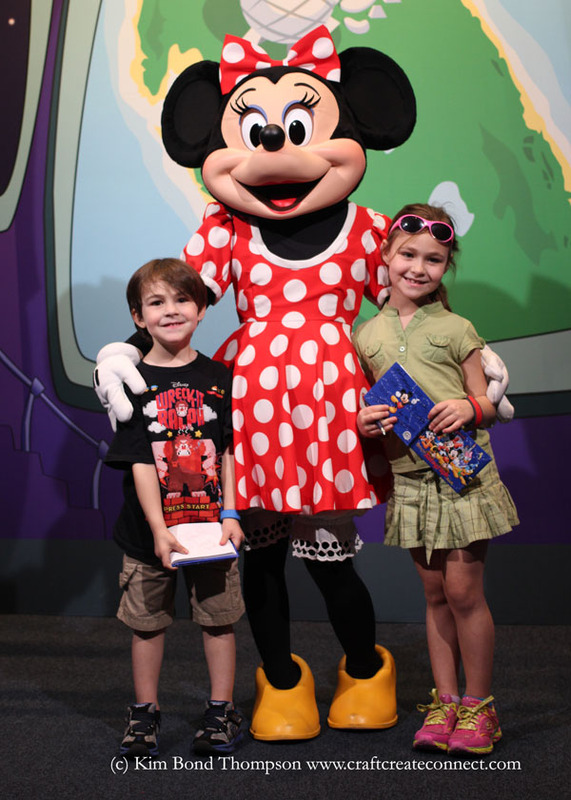 Many of the “biggies” like Mickey and Minnie and many princesses can be found indoors and amazingly, Disney has added Fast Pass+ for some of these attractions. Fast Pass+ is a way of getting onto a ride faster, at a scheduled time. The Fast Pass system is not new, but Fast Pass+ is. In fact, you can actually plan out your week if you like, using Fast Pass+ on their new app called My Disney Experience. It too is still working out the kinks but overall, it was really quite useful. It was a total data hog on an android but from what I understand, they have overhauled the itunes/apple version and will be doing the same for android in the near future. If you want to be really sneaky, and your little ones are not too little, or can get in a nap (my favorite route! ), plan on heading back to the parks during evening hours- after the last parade of the day. Lines for Characters indoors are WAY shorter. Outdoor characters are often gone however. We were able to see Rapunzel and Ariel this way in about 10 minutes… but it was nearly 10pm… and the excitement was not enough to keep my little man awake. He fell asleep leaning against my leg! If you want to catch a glimpse of Disney’s new lovely princesses Anna and Elsa… get ready to wait in line… a seriously long line. 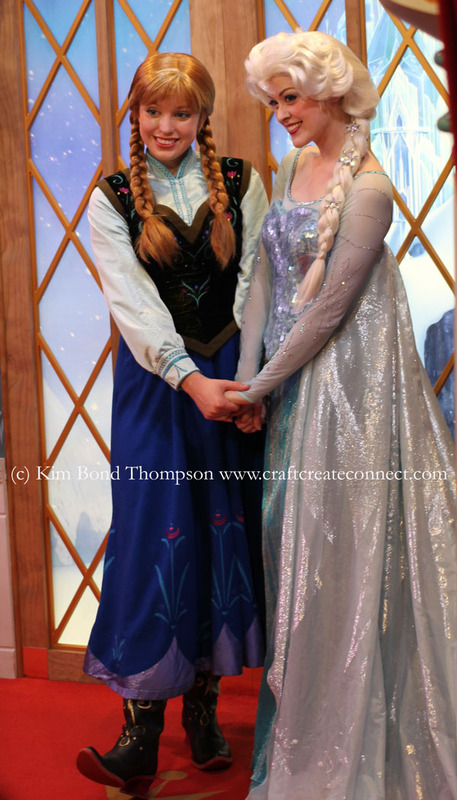 Anna and Elsa can now be found in Epcot, in the country of Norway. The “countries” do not open until 11 a.m. Epcot, however, opens typically at 9 a.m. Apparently, people have breakfast reservations at Epcot (before 9) and then head directly over to Norway to wait to see these lovelies. Yup, you read correctly. Two HOURS before they even get there. If you are joe-average person entering the park, by the time you hike your way over, you might expect to wait upwards of 3 and a half hours!!! Luckily my little princess was realistic enough to not want to wait that long, despite talking about meeting them since the movie came out. Not wanting to disappoint her, I opted for the mammarazzi photo version instead. Just along side the princesses was of course found a gift shop (the only one carrying Anna and Elsa dolls from what I understand.) It was cordoned off with a red velvet rope. At just the right moment, when a couple of older visitors asked for a picture of JUST the princesses, I was able to snap a shot. My daughter squeeeeed with delight when I showed her. That was enough for me! 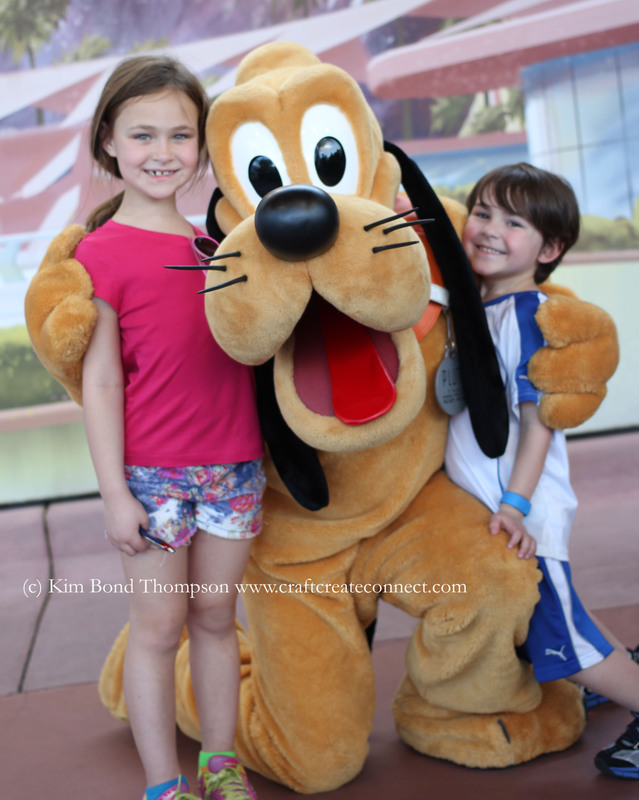 Hope you enjoyed these Disney Characters tips and images. Thanks for reading! And hey! If you would like to see my collection of “shirts from Disney,” hop on over to my FB page and be sure to like it so you don’t miss any!